OTTE, William (1871-1957), landscape painter born in Wisconsin who studied at the New York School of Art. In 1913 he moved to Santa Barbara where he had a studio until his death in 1957. 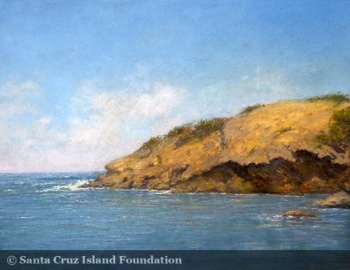 Otte made at least one trip to Santa Cruz Island where he painted a coastal scene in pastel on paper. This page was last edited on 19 September 2015, at 17:32.